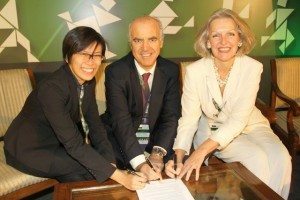 EBAN continues to increase its international network beyond Europe and has recently signed an agreement for collaboration with BANSEA – Business Angel Network SouthEast Asia. BANSEA, founded in 2001 and operating from Singapore, is one of the leading Asian angel investment networks. The two organisations agreed to exchange associate membership to foster cross border investment, dissemination of initiatives, exchange of best practices and a close collaboration for future projects. 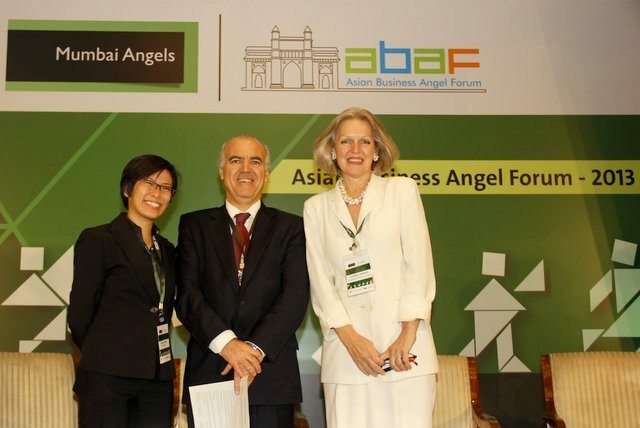 The agreement was signed by EBAN Board members Candace Johnson and Francisco Banha and by Donna Daritan, Executive Director of BANSEA during the Asian Business Angels Forum (Mumbai, 22-23 November 2013). Banha, who has recently returned from the Asian Forum, believes that “as Asia gains a more prominent role in the world economy, so their angel investors will play an increasingly role in the global entrepreneurial community. I can only expect that to result in significant learning and investment opportunities that we will be welcoming to share within our European community“. Johnson, also a speaker at the Asian forum states “this is a seminal agreement between Asia and Europe, being led by the innovative and entrepreneurial forces that are Business Angels in both regions. This agreement should help facilitate cross-investments and sharing of best practices leading to the improvement of the global economy and society“. “BANSEA and EBAN have been working together for many years” says Daritan. “With this MoU, we are renewing our spirit of collaboration and sharing of best practices through our complementary networks and expertise. The Singapore angel investment community will benefit from EBAN’s experience in cross-border investing and extensive industry resources“. A similar opinion shared by BANSEA’s Chairman Abrams who looks “forward to the continued close cooperation between BANSEA and EBAN signified in this MOU“. For additional information about this agreement please contact the EBAN secretariat.